We are situated in a rural part of South East Kent, surrounded by beautiful countryside, a peaceful and tranquil setting with fantastic views, this semi detached property (attached to the farmhouse and situated on a working farm), is off the beaten track but only 5 minutes from the main road into Canterbury. Thank you so much for a great welcome. It was a lovely stay. We loved the view so much and what a beautiful place to be. Thanks for a wonderful Easter welcome. 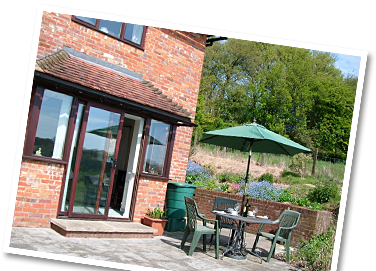 We have enjoyed staying in your beautiful cottage. So very peaceful, with great views. Thank you for everything. We couldn't have asked for anything better.So lovely to meet you, would love to visit again. An excellent stay as always. Thank you so much.